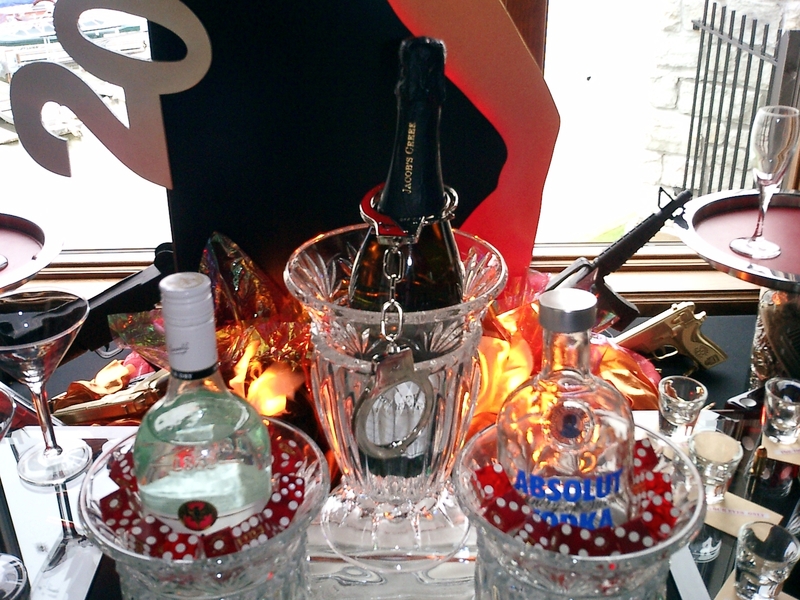 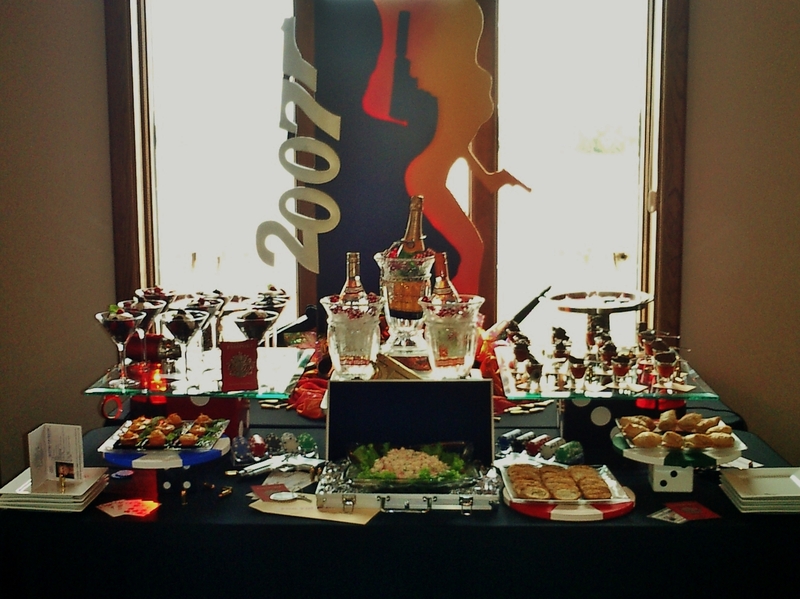 In honor of the new James Bond movie Skyfall; I’m sharing a James Bond buffet we created almost 6 years ago. 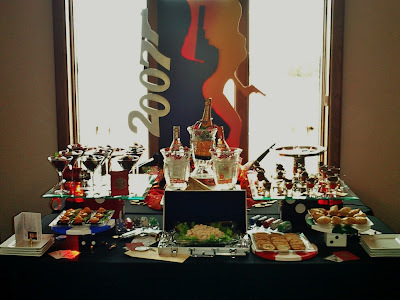 It was 2006 and we were asked to come up with a New Years Eve concept for a party. 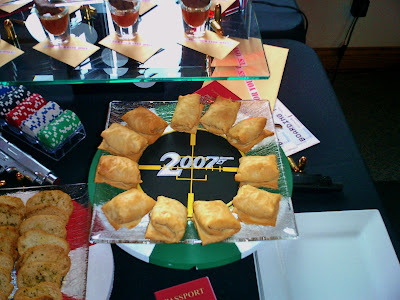 We decided to play on the 007 in the year 2007. Bond is timeless, so these ideas would work for any Bond movie party. 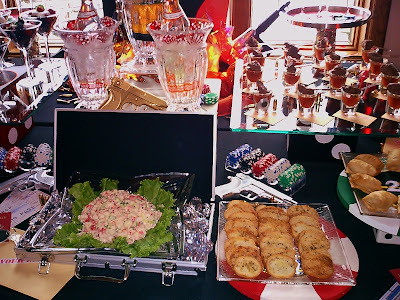 A couple of the food trays were on top of 12″ dice blocks. 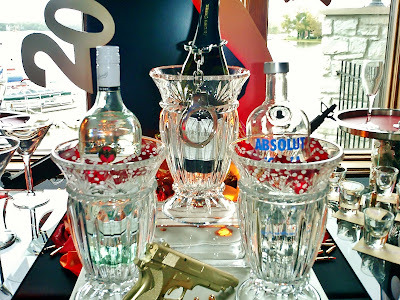 We made faux passports, “Eyes Only” packets and sprinkled real bullets around as if it were confetti. 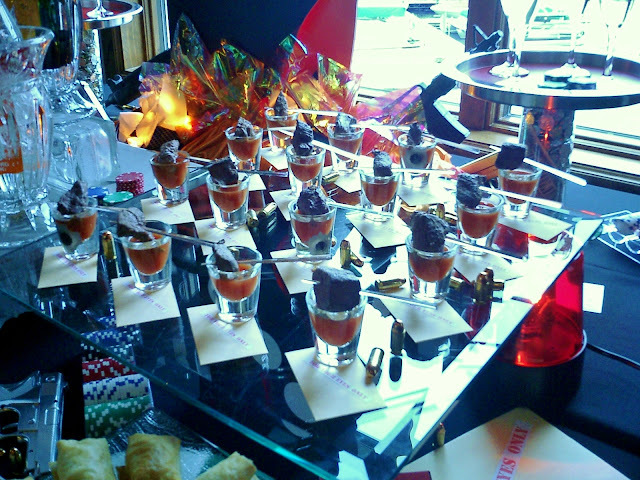 The hors oeuvre’s were steak shooters sitting on top of mini eyes only packets. We also put bullet hole stickers on the shot glasses…get it…shot–glasses. An aluminum brief case filled with diamonds held the crab dip for the crostini. 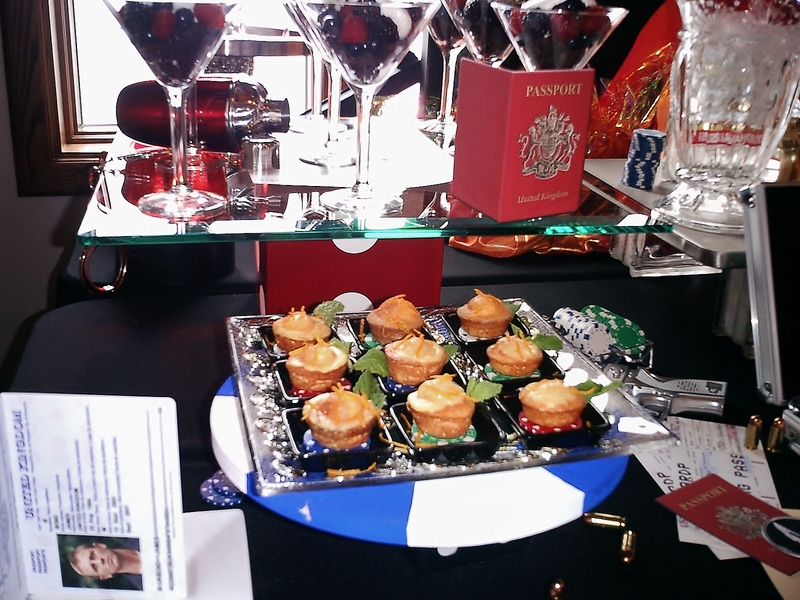 These mini muffins sat atop a poker chips that sat atop a giant poker chip. The iconic martini glasses served as bowls for the berries and zabaglione. 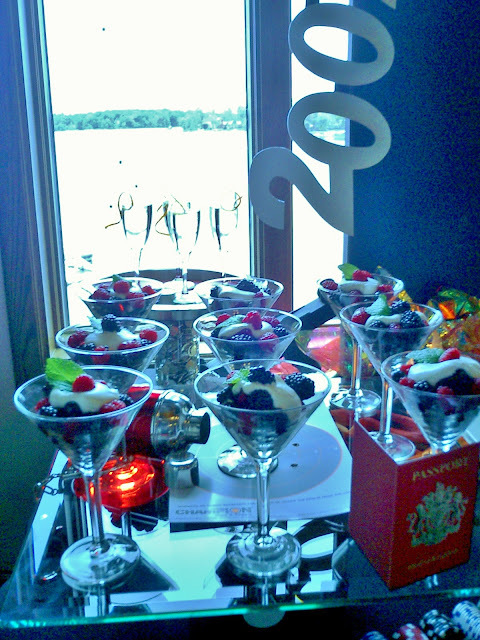 We also put shattered glass stickers on the windows behind the buffet but you can’t see them in the pic. 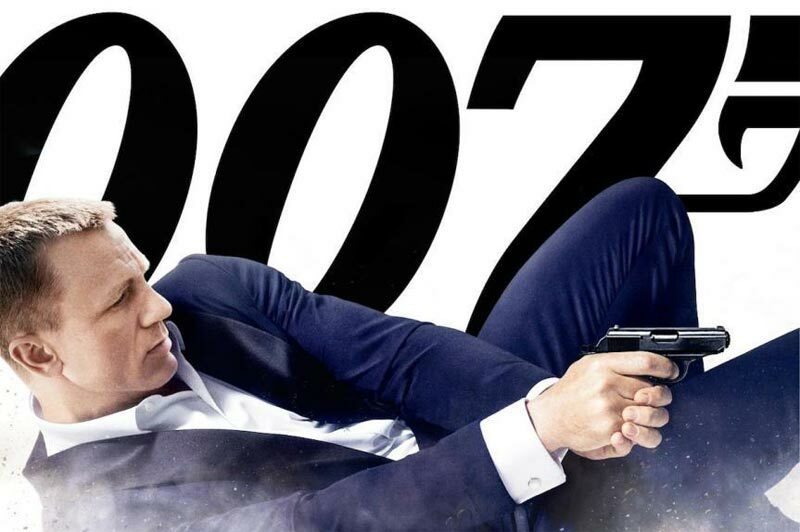 The new Bond movie Skyfall is out in theaters tomorrow!! 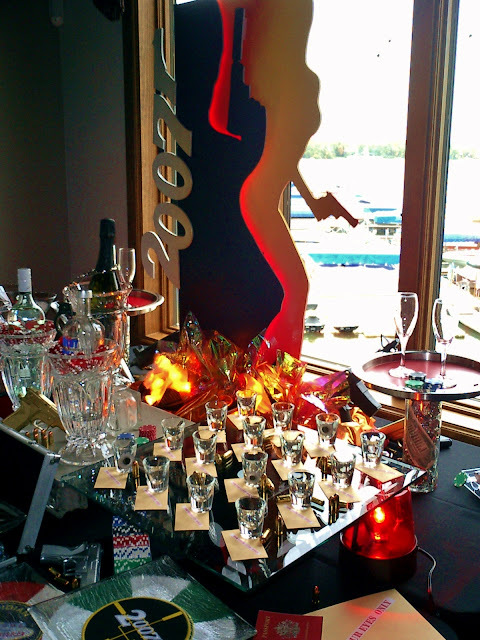 This entry was posted in 007, Buffet Decor, James Bond Party, Secret Agent Party, Spy Party on November 8, 2012 by Setting the Mood.